Why: In two words, bar snacks. 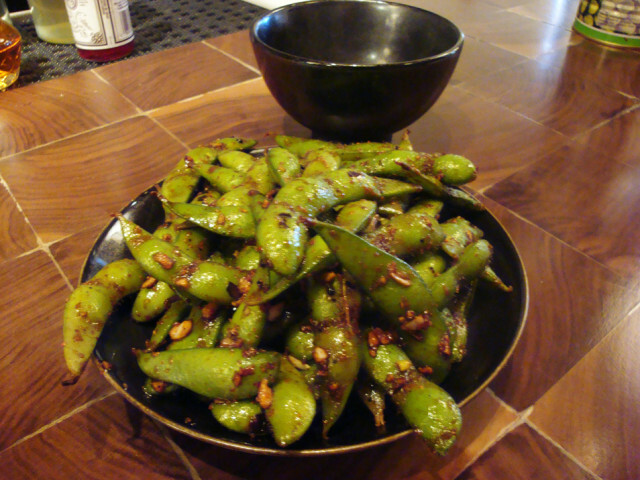 Wafu, the hipster Japanese bar overseen by Trent Pierce, has many things to recommend it. If I can be permitted to borrow a Fieri-ism (a descriptive word or phrase associated with peroxide Food Network host Guy Fieri, usually referring to edible awesomeness) the variety of ramen here is like a joyride to Flavortown. The cocktails are delicate boozy blossoms that run the gamut from precious to puissant. There’s a tastefully curated beer selection, and sake on tap. The waitstaff is attentive and affable. And there’s always a samurai movie showing in the back room. But I want to talk about the brilliant and reasonably priced appetizer menu. There’s no Happy Hour at Wafu, but the dozen small-plate options should inspire some serious episodes of profligacy. 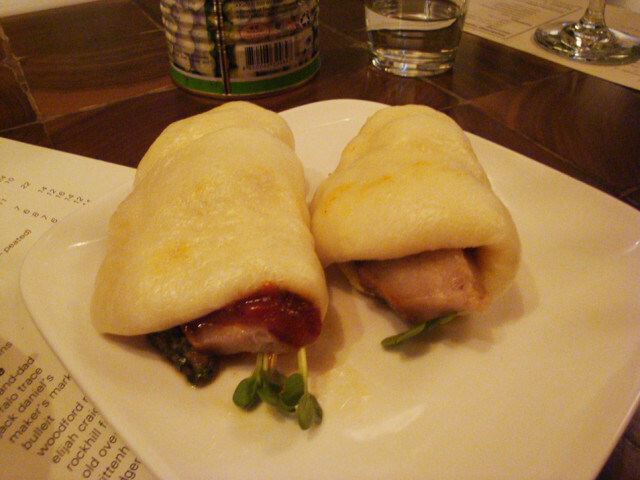 The steamed pork belly buns ($3 each) are luscious rectangles of smoky-sweet meat lovingly wrapped in a silky rice comforter. You may start with a single order, but I predict a teetering stack of crockery is in your future. The inari hot pockets ($7 for a trio) look complicated, prompting the dinner to wonder about the efficiency of chop sticks versus bare hands. It’s a tempura battered roll stuffed with bacon, fontina cheese, and scallions. The bacon shows up early to the party, accompanied by the smooth, nutty fontina, with the scallion bite on the backside. 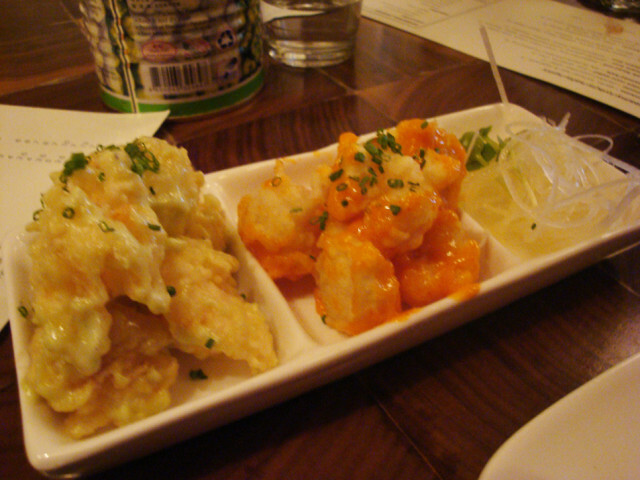 I’ve also developed strong feelings for the tempura shrimp, which for $7 entitles you to a couple modest mounds of deftly fried shrimp in dueling sauces (one creamy and spicy, the other slathered in wasabi mayo). Even the humble pile of boiled soy beans known as edamami ($3), is turbo-charged with garlic, soy, sichuan salt, and flecks of chili pepper. Don’t be surprised if after you’ve put away several other dishes, and you swear that there’s no room at the Stomach Inn, your hand continues to reach for these fiery little suckers. I’ve yet to experience the roasted crab hand roll ($5), the grilled mackerel ($8), and the skirt steak skewer ($5), but I’m taking steps to correct this sorry situation. Stay tuned, and remember, anytime is snack time.